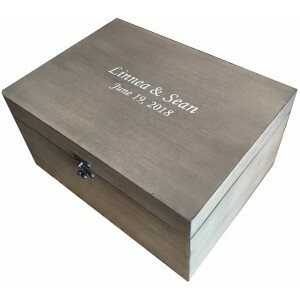 A full sized all wood storage box offers a timeless and personalized way to store keepsakes and makes a perfect gift for weddings, memorials, birthdays, anniversaries, and graduations. 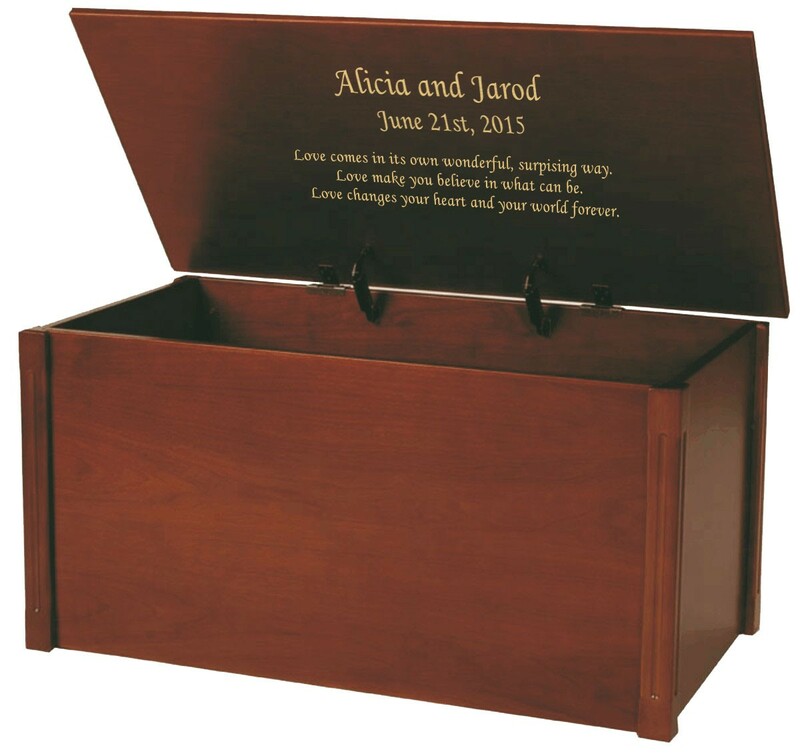 Each large storage chest measures 41L X 21H X 21W. 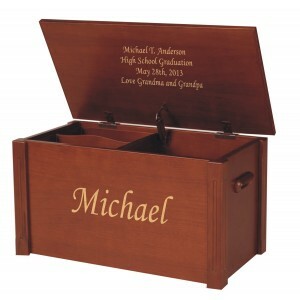 Every large memory box is handcrafted using the finest materials and is made of 100% wood. 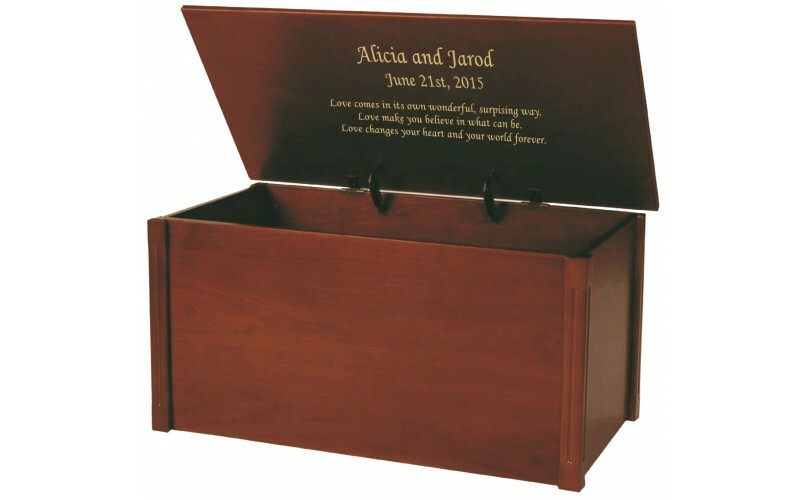 Each large storage chest includes two lid supports for safety. The lid will stay up no matter what position it is in. It will not drop. To order, choose personalization options below, then click 'add to cart' button. 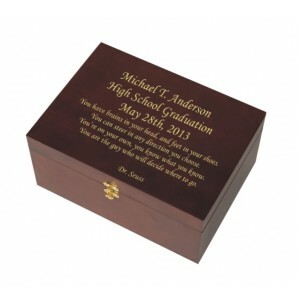 PLEASE NOTE: Front and inside lid engraving will be done with the SAME font. 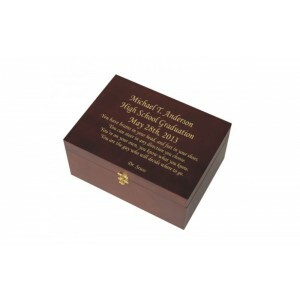 If you want different fonts please contact us and we can accommodate special requests.